The following list includes common symptoms or conditions that people seeking help from acupuncture. 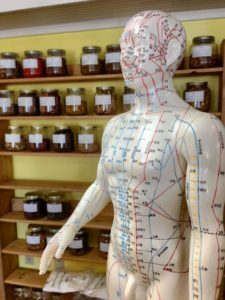 They also have been shown in the review of the World Health Organisation* and are consistent with the New Zealand Register of Acupuncturists (NZRA) and many acupuncture college or Universities in the world. GYNAECOLOGY: Painful periods, premenstrual syndrome, irregular menstruation, infertility (Hypo-ovarianism) & IVF support; Polycystic ovary syndrome; menopausal syndrome; morning sickness, malposition of fetus, insufficient lactation, Labour pain; Induction of labour. Female urethral syndrome; pregnancy tune-up; etc. Rheumatoid arthritis; Gouty arthritis; Osteoarthritis; carpal tunnel syndrome, etc. NEUROLOGICAL: Headaches / migraine, insomnia, trigeminal neuralgia (Facial pain), shingles, meniere’s syndrome, bell’s palsy, hemiplegia, post-stroke syndrome, etc. GASTRO-INTESTINAL: Gastrokinetic disturbance; Nausea and vomiting; diarrhoea, Epigastralgia / abdominal pain; Chronic Ulcerative colitis; Constipation, Irritable bowel syndrome, etc. RESPIRATORY: common cold, bronchitis, Bronchial asthma, Nose bleeding, Allergic rhinitis (including hay fever); Sinusitis, Sore throat (tonsillitis), etc. PSYCHOLOGICAL DISORDERS: Mild depression (with anti-depressant), Competition stress syndrome (anxiety / stress), Cardiac neurosis; withdrawal syndrome from smoking, etc. MISCELLANEOUS: Adverse reactions to radiotherapy and/or chemotherapy, Pain management; weight loss, chronic fatigue syndrome, skin disorders etc.